OECD recently published a new study about education in OECD member countries. The study itself contains a vast amount of data from various fields, but what caught my attention were huge differences in teachers’ salaries. The following map shows how much a highly experienced primary school teacher earns per year in 1,000 USD converted using PPP (purchasing power parity). To understand PPP conversion, note that prices of goods and services are different in each country. PPP conversion to USD basically says what the US equivalent of the given salary is to achieve the same standard of living. 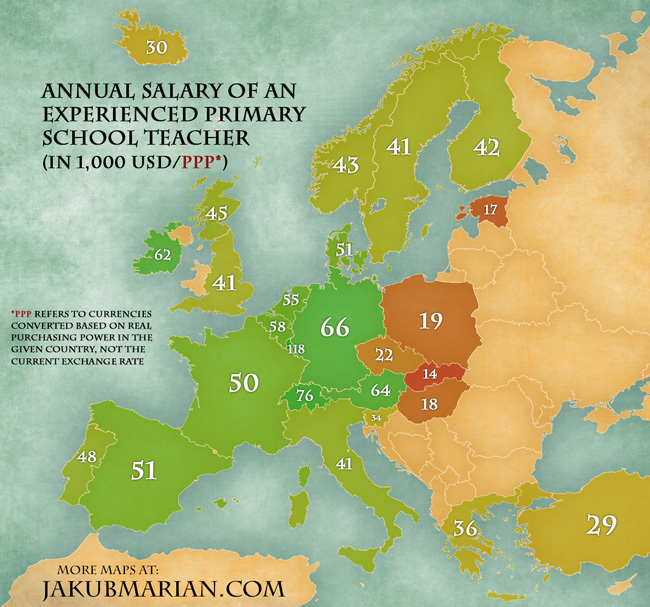 For example, the real annual salary of a Czech teacher is only about USD 12,000. However, because goods and services are cheaper in the Czech Republic than in the US, a Czech teacher can afford the same basket of goods each year in the Czech Republic as an American with an annual salary of USD 22,000 can in the United States; hence the figure “22” for the Czech Republic. The underlying blank map was made by Tindo and licensed from fotolia.com. 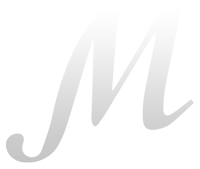 If you want to share the map, please share a link to this webpage instead of sharing just a picture.